Used Porsche Cayman Review - 2013-2016 | What Car? 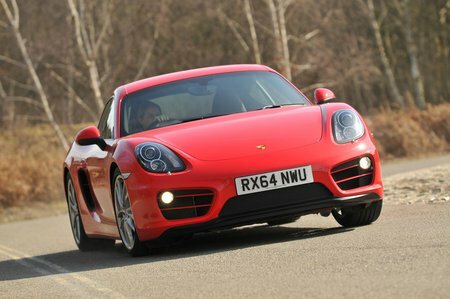 What's the used Porsche Cayman coupe like? Few cars hit the ground running with quite the fervour of the original 2005 Porsche Cayman. It was deliciously right straight from the off, from the curves of its delicate body to the aural pleasures of its mid-mounted, sonorous flat-six engine and the beautifully resolved handling. Porsche, known for being notoriously conservative in design, subtly tweaked the styling for this second-generation car, which hit the roads in 2013. It was more distinctive, being slightly longer and lower, but perhaps more crucially it was lighter and stiffer – all the better to boost the already lavish performance and handling. And it worked. Mounted in front of the rear axle is either a 271bhp 2.7-litre flat-six or a 321bhp 3.4-litre one (the Cayman S), both rippling with the promise of catapulting speed. 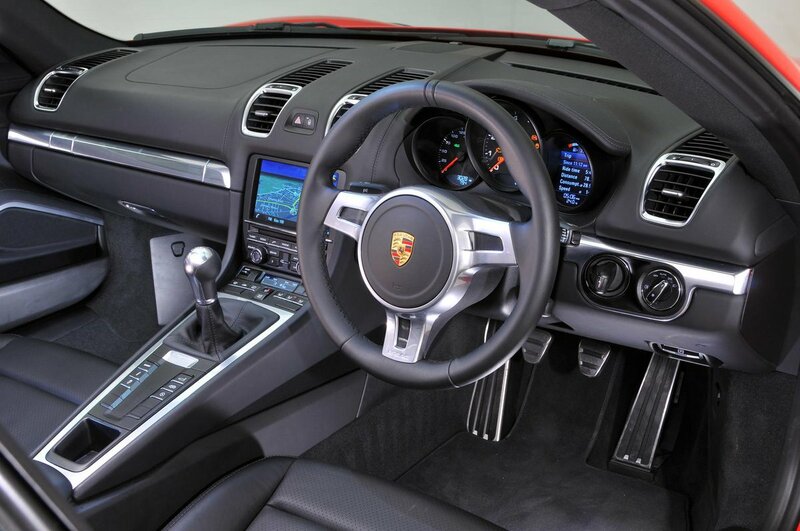 A six-speed manual gearbox was standard, with a seven-speed PDK automatic 'box a popular option. On the road, the 2.7 unit can rocket the Cayman from 0-60mph in 5.7sec and runs out of puff at 165mph, whereas the 3.4 engine will see it off in 4.7sec and go on to reach 174mph. In most situations, the S variant naturally feels quicker, but the sheer character of that lovely smooth and biddable engine and the joy of piloting this machine will leave very few disappointed if they chose the standard model. For true speed freaks, Porsche introduced a GTS version using the same engine as the S model but with power uprated to 336bhp. There is also a GT4 version, with a 3.8-litre unit churning out 380bhp, capable of seeing off the 0-62mph sprint in just 4.4sec. The Cayman's handling is a rare delight. It feels nimble, stable, secure, fast and fun. Some purists disliked the change to electric power steering on this version, but few cars steer with such alacrity, even if some element of communication had been slightly muted. Porsche Active Suspension Management lets the driver choose between normal and sporty settings, further enhancing this car’s wicked potential. Whichever you choose, the Cayman is brilliant; it’s smooth, responsive and always blisteringly quick. Inside is a leather-lined interior of modest dimensions, with suitably sporty and classy fittings to remind you that you’re in a Porsche. There is a central, oversized rev counter ahead of the driver, behind that familiar and tactile steering wheel. The driving position is low and spot on. Porsche cars tend to be quite poorly equipped as standard, although both the Cayman and Cayman S get a standard 7.0in touchscreen. There are also plenty of buttons on the centre console – lots of them, in fact. Those coming from an Audi or a BMW might be daunted by the number of buttons and yearn for a rotary controller but, once learned, things become a lot easier. There’s a 150-litre luggage space up front and a further 275 litres in the rear – enough for a small shop or a week’s luggage for two.